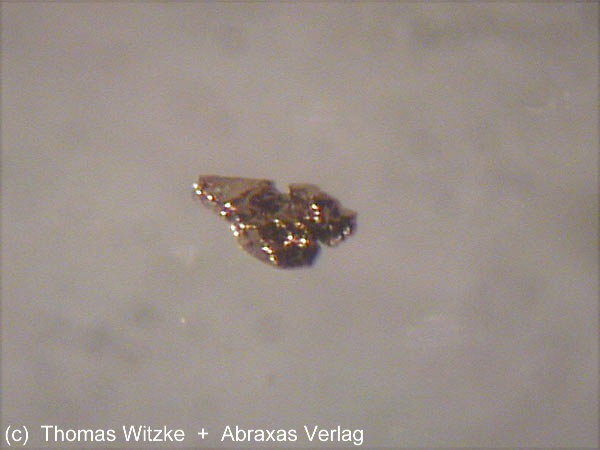 Comments: Small metallic grain of niobocarbide. Location: Nizhne-Tagil'skoye (Mednorudyanskoye) Cu Deposit, Nizhnii Tagil, Sverdlovskaya Oblast', Urals Region, Russia. Scale: Grain size 0.3 mm.